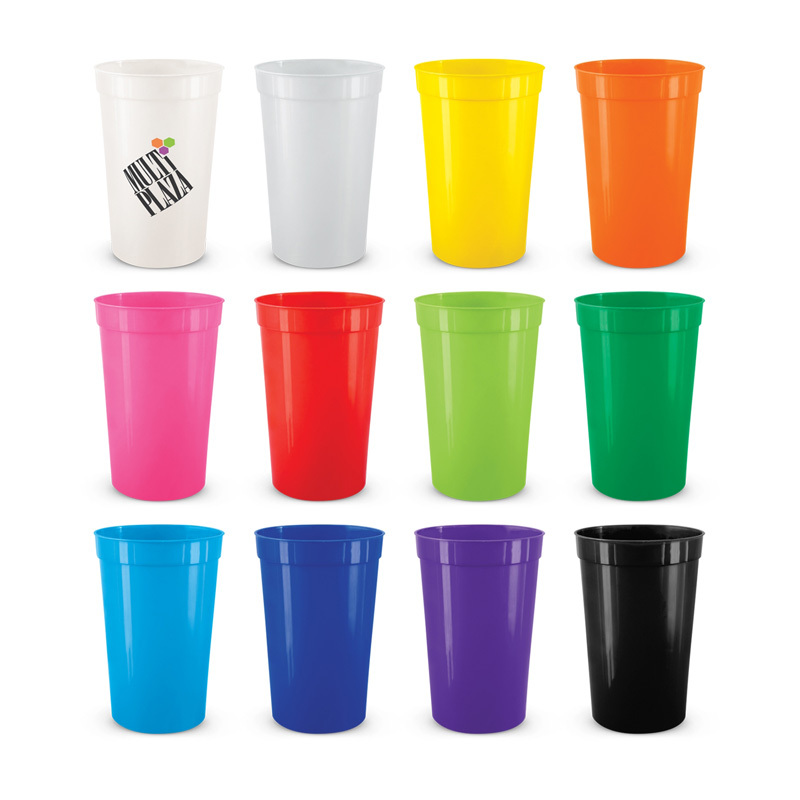 Inexpensive reusable 400ml plastic cup designed for use at events and functions. It is manufactured from BPA free polypropylene which is dishwasher safe. Colours Clear, White, Yellow, Orange, Pink, Red, Bright Green, Dark Green, Light Blue, Dark Blue, Purple, Black.